Riding a water buffalo through a buzzing village square; collecting shells from a white-sand beach; a fan beating above my head to ease the heat. I have a handful of sun-dappled memories of the Philippines that predate almost any other, borne from a trip to the islands with my parents as a child. They’d left me, my brother and sister with a local family while they went trekking in the mountainous Cordillera to see the 2,000-year-old Banaue rice terraces, and the caves and hanging coffins of the mountain villages. I returned to the Philippines for the first time 10 years ago – and have been back four times since – to the westernmost province, Palawan. I spent three weeks exploring on a traditional bangka boat. Visiting pristine beaches, sleeping under the stars and eating exquisite seafood – garlicky prawns, coconut crab curry and peppery cuttlefish with a dash of lime – were among the highlights. The best bit? There was no one else there. Just happy-go-lucky islanders and a handful of intrepid tourists. It felt like we’d uncovered a secret place. But, thanks to a multitude of ‘world’s best beaches’ accolades, the secret is out. And with dramatic volcanic landscapes, stunning mountains and heavenly beaches, it’s no surprise that the Philippines has developed into a sophisticated – yet still unspoilt – destination for travellers seeking paradise, without the crowds. Made up of more than 7,000 islands; exotic cities criss-crossed by colourful jeepneys; a smattering of luxury resorts; world-class diving; a thriving food and bar scene; and populated by some of the friendliest people on the planet, the Philippines has pleasures and treasures for everyone from sunseekers to adrenaline junkies. You’ll almost certainly fly into the capital, a teeming megacity with gleaming skyscrapers piercing the haze, sprawling shanty towns and a frenetic pace of life. But don’t be tempted to fly right out again – it’s one of Asia’s most underrated, not to mention coolest, cities. The five-star Makati Shangri-La Manila hotel in downtown Manila makes the perfect base. 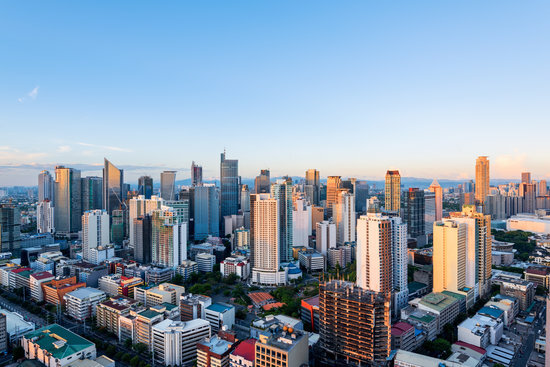 Just 20 minutes from the airport, it’s in the Makati district, known for its upmarket restaurants and malls. Here you’ll also find Evangelista Street. Seldom visited by tourists, it’s a haven of flea markets and antique shops – among the Art Deco chandeliers and retro bamboo furniture, you can find inexpensive 1930s Philippine artwork, vintage magazines and designer bags. It’s also close to the old walled city of Intramuros. 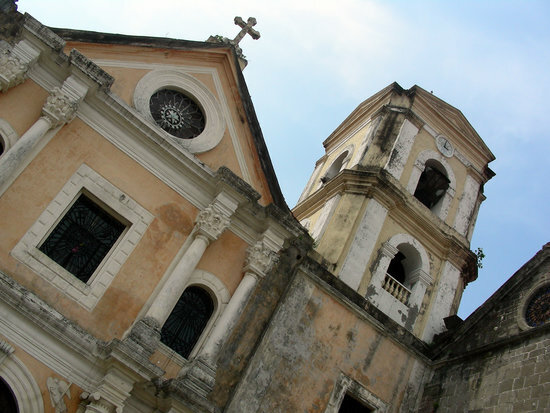 The ancient heart of Manila, founded in 1571, it’s where cobblestone paths and UNESCO World Heritage sites San Agustin Church and Fort Santiago combine to give a clue to what life was like here under Spanish colonial rule. Binondo is the world’s oldest – and largest – Chinatown. And if you have a thing for shoes, visit the Marikina Shoe Museum. Home to an array of rainbow-coloured pairs owned by former first lady Imelda Marcos, it makes for an interesting insight into the excesses of Marcos-era Manila. At the end of a full day’s sightseeing, watch the sun set over Manila Bay with a San Miguel so cold the glass is frosted. Commonly thought to be Spanish, the beer was first brewed in the Philippines in 1890 under a Royal Grant from the Spanish King. 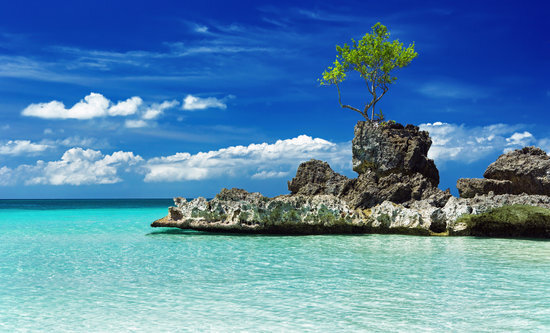 You could spend a lifetime exploring the Philippines’ infinite beaches and coves, but many sun worshippers – and divers – head straight to The Visayas, a collection of picture-perfect islands where island-hopping opportunities abound. 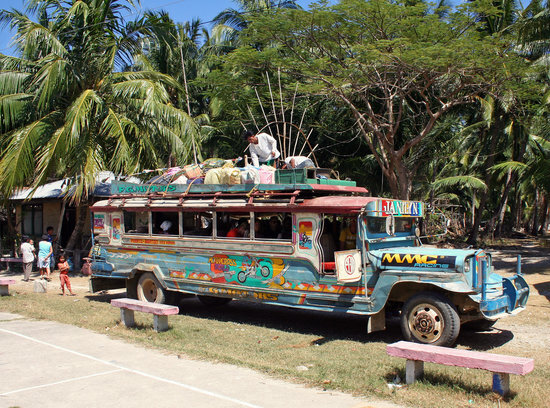 Cebu is one of the most densely populated islands in the Philippines and the cultural hub of The Visayas. Known as the Queen City of the South, it has a host of historical sites to explore, as well as bars and emerging eateries. The underwater scene is exceptional too – particularly Bantayan, off the northern tip – while the central mountains offer ample options for hiking. While here, you’ll feast on fish so fresh it practically jumps onto your plate, and oh-so-sweet mangoes. The locals squash them in their skins, biting a hole in the top, then sucking out the golden nectar. At the other end of the scale you’ll find Boracay. It’s tiny, but has come to international attention since White Beach muscled its way onto several of the ‘world’s best beaches’ lists. The island is dealing with its new fame reasonably well, and places to eat and drink have sprung up along the beach. The scene gets lively as the evening progresses, so to escape the crowds head to the shell-filled sands of Yapak Beach, or snorkel around Crocodile Island – so called because it’s shaped like one. Don’t leave without taking a famed sunset trip in a paraw sailboat, with bamboo outriggers that make them look like spiders hopping along the surface of the water. The first time I visited El Nido was on a thrilling ride down zig-zagging mountain roads in a motorbike sidecar, under the cover of darkness. In the morning I awoke in spectacular surroundings – behind me the cliffs dropped into the sea; ahead, karst peaks studded the azure seas. And although savvy travellers now arrive by plane direct from Manila, El Nido remains unspoilt. Set in the Palawan archipelago, El Nido means ‘the nest’ (a nod to the swallows’ nests found in the region), and cradled in the glittering Bacuit Bay, there’s a feeling of safety here. It’s the jump point for exploring the area’s 1,780 islands. Try sea kayaking and rock climbing, or lounge at one of the emerging luxury resorts or barefoot bars. Alex Garland was allegedly here when he wrote The Beach, but set the book in Thailand because he didn’t want the area to become overrun. True or not, it’s certainly the case that there are many secret lagoons and beaches here – locals confess to finding new things all the time. On one island-hopping trip, we visited a wild islet, where a cave was revealed at low tide. Armed with snorkels we swam through it, popping out in an electric-blue lagoon full of multicoloured fish, waves lapping on a hidden beach. 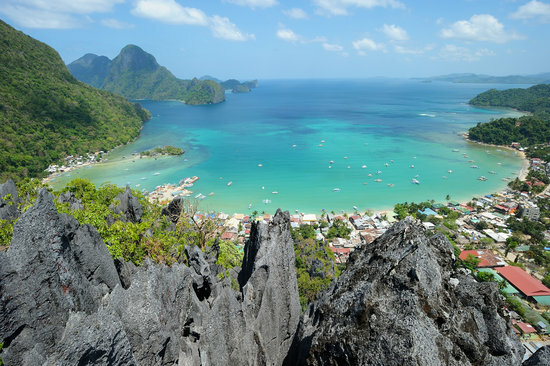 But it’s unlikely that El Nido will keep its secret for much longer. 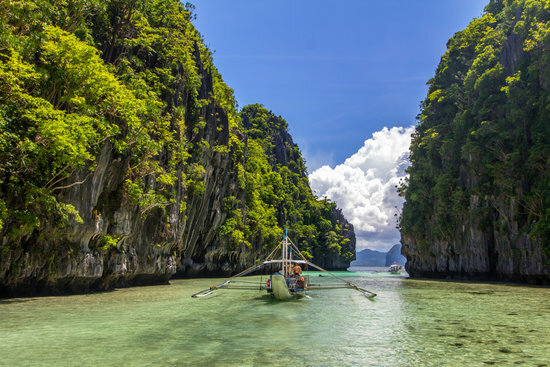 Palawan’s five-mile Puerto Princesa Subterranean River has been listed as a ‘new wonder of nature’ – the plaudits for the Philippines keep on coming. 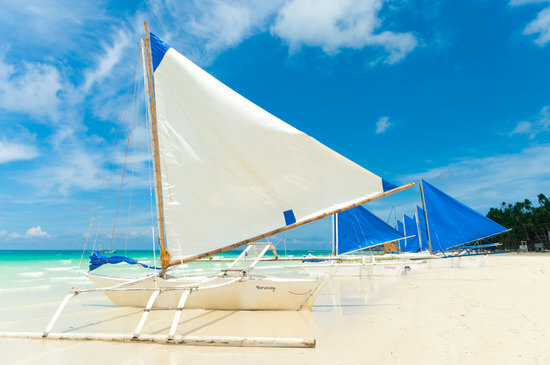 Book an appointment with one of our Travel Experts to create your tailor-made holiday to the Philippines.